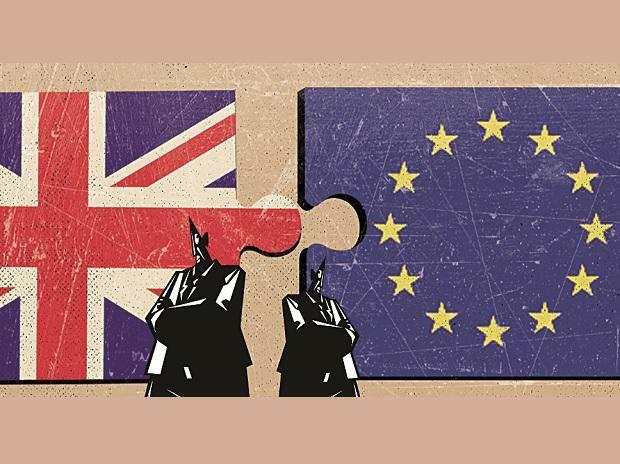 Britain's economy risks a serious shock if the UK leaves the EU without a deal, the International Monetary Fund said Tuesday, warning of severe trade disruption and slower economic growth. In a report marking the coming spring meeting, published just days before the scheduled Brexit date of Friday, the IMF looked at the impact of possible "no deal" scenarios. It estimates that the trade disruptions in that scenario would cause a decline in Britain's gross domestic product (GDP) of 1.4 percent in the first year, and 0.8 percent in the next. The European Union would not be immune from the impact, although it would be less severe, with the bloc's GDP falling 0.2 and then 0.1 percent. The IMF adds that the total impact would be a decline of 3.5 percent of British GDP between now and 2021 and 0.5 percent for the EU. The fund notes however that it cannot predict all the effects of a "no deal" Brexit, or all the mitigating measures that might be taken. The "no deal" scenarios assume that, in the absence of a new trade agreement, British exports to the EU revert to being subject to World Trade Organisation (WTO) rules. It estimates an increase in GDP of 1.2 percent this year, rising to 1.4 percent in 2020. Previous projections unveiled at Davos predicted growth of 1.5 and 1.6 percent. The IMF report comes at the start of a decisive week, where EU leaders will decide at a Brussels summit on Wednesday whether to agree to London's request to delay Brexit day.